Warriors suffered more disappointment in Bath on their return to Gallagher Premiership action as they returned home empty-handed for only the second time this season. 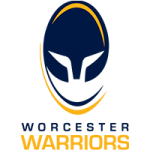 The Rec has never been a happy hunting ground for Warriors an error-riddled display contributed to their 13th defeat in as many Premiership visits. Warriors created a superb first half try for centre Ryan Mills but they struggled to build any momentum as their lineout faltered and they turned over too much hard-won possession at the breakdown. A charge-down try from Bath openside Tom Ellis early in the second half proved to be the difference between the sides in a scrappy encounter. Warriors drew first blood when Duncan Weir, back after two weeks of training with Scotland’s autumn internationals squad, landed a fifth minute penalty. But Warriors fumbled the restart which allowed Bath to apply the pressure and force a penalty which Freddie Burns slotted to level the scores. Warriors found themselves under more pressure when Burns kicked a series of penalties to touch which allowed the Bath pack to lay siege to the line. Warriors’ close-quarter tackling held up but Bath eventually managed to work themselves into a position from which Burns slipped the ball to Semesa Rokoduguni who came off his wing and powered over for the try which Burns improved. Warriors’ response was quick and impressive. A sweeping counter-attack in which Chris Pennell and Francois Venter were prominent was brilliantly finished by Ryan Mills who jinked through. Weir’s conversion levelled the scores again, but not for long. Burns landed a penalty on the half hour after Warriors went off-side in defence and again seven minutes later when a scrum collapsed on Warriors’ 22. Warriors enjoyed their best period of sustained pressure at the end of the first half with Mills, Weir and Venter again to the fore but it went unrewarded as they were penalised at the breakdown. Warriors ran into difficulty at the start of the second half when they won a lineout near their own line but a clearance kick was charged down which left Ellis to score the softest of tries. Burns added the conversion and although Warriors worked hard to get themselves back into the match they undid their hard work by losing two attacking lineouts. Weir pulled back three points with a 53rd minute penalty and also launched a thrilling counter-attack which broke down with a knock-on. 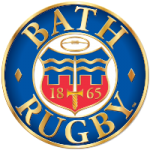 Bath’s patient pick-and-drive tactics meant a long afternoon of tackling for Warriors’ defence and a gap again appeared to allow Elliott Stooke to plough over for Bath’s third try. Warriors | 15 Chris Pennell (Shillcock 76), 14 Bryce Heem, 13 Francois Venter, 12 Ryan Mills, 11 Perry Humphreys , 10 Duncan Weir, 9 Francois Hougaard, 1 Callum Black (Waller 48), 2 Jack Singleton (Annett 54), 3 Nick Schonert (Milasinovich 66), 4 Anton Bresler, 5 Darren Barry (Phillips 48), 6 Matti Williams (Cox 57), 7 Sam Lewis (Cox 15-24), 8 GJ van Velze (c). Replacements: 16 Niall Annett, 17 Ethan Waller, 18 Gareth Milasinovich, 19 Pierce Phillips, 20 Matt Cox, 21 Michael Heaney, 22Jamie Shillcock, 23 Wynand Olivier.